http://hfunderground.com/blog/wp-content/uploads/2013/09/R-Inyabutatu-9-28.mp3Caught 9/28/13 at 1700z sign on. Conditions noisy but listenable. Here’s the 1st few minutes of the broadcast from the sign on. This entry was posted in Clandestine on September 29, 2013 by fpeconsultant. http://hfunderground.com/blog/wp-content/uploads/2013/09/Radio-VO-Hope.mp3For old times sake. Recorded 2/10/01 0426z 12060kHz. One of my all time favorites with the bone drum open into an English ID by YL back to the bones. 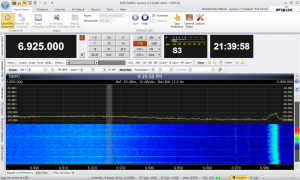 Nothing on parallel 15320kHz. Sudan clandestine. This entry was posted in Clandestine on September 21, 2013 by fpeconsultant. As luck would have it my Audacity froze for a few seconds just as they signed on with unknown music – the recording has a quick burst of the music into an OM in an unknown language. The Y axis scale is the signal strength in dBm. I’ve marked off several corresponding S meter readings for easy comparison. I’ve smoothed out the signal readings with a low pass filter, to make the general trends easier to see. 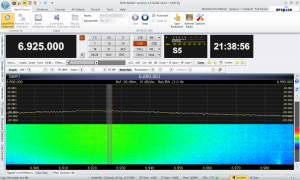 6875 kHz is used by WWCR, which you can see signed on at 2100 UTC, and signed off at 0100 UTC. It has a transmitter power of 100 kW, and is located approximately 700 miles to my southwest. 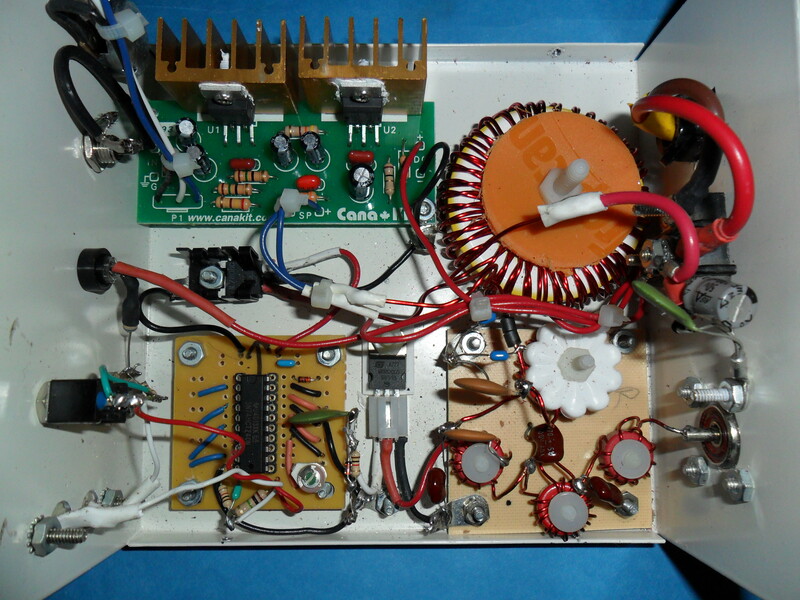 6885 kHz is used by Galei Zahal, Israeli army radio, which has a power of 5 kW. It is approximately 5800 miles away. 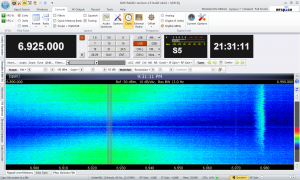 6890 kHz had no station, and was recorded to show how the background noise levels varied. Local sunset here was 2322 UTC, which is at about 9300 on the X axis. The signal strength of both WWCR and Galei Zahal steadily increased until local sunset. This is likely due to the D layer of the ionosphere recombining, which means it causes less attenuation to the radio signals. Likewise, the background noise level also increased over this time period, from about S5 to a little over S7. You can also observe Galei Zahal fade out as the Sun began to rise in Israel. WWCR had a strong signal, but there was considerable variability, about 3 S units worth. WWCR is within the range of where you expect to find most pirate stations in the Northeast USA (Guise Faux’s famous 500 miles around Pittsburgh). We can extrapolate how strong it would be at lower power levels, in the range most pirates use. 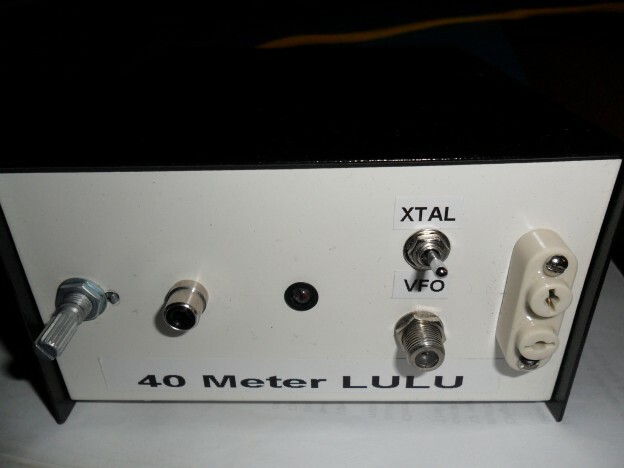 We can also take into account the high gain provided by their antennas, as their characteristics are provided at the FCC. They claim 14 dB. I’ll assume that I am likely in their main beam. The signal level of WWCR is about -25 dBm during the peak signal period. Adjusting for the antenna gain, we can reduce it to -39 dBm. We can further adjust for the power level. If instead of 100 kW it was 100 watts, we would expect the signal to be about 30 dB less (a power factor of 1000 is equal to 30 dB), So that would be -69 dBm, just a bit above S9, which is -73 dBm. 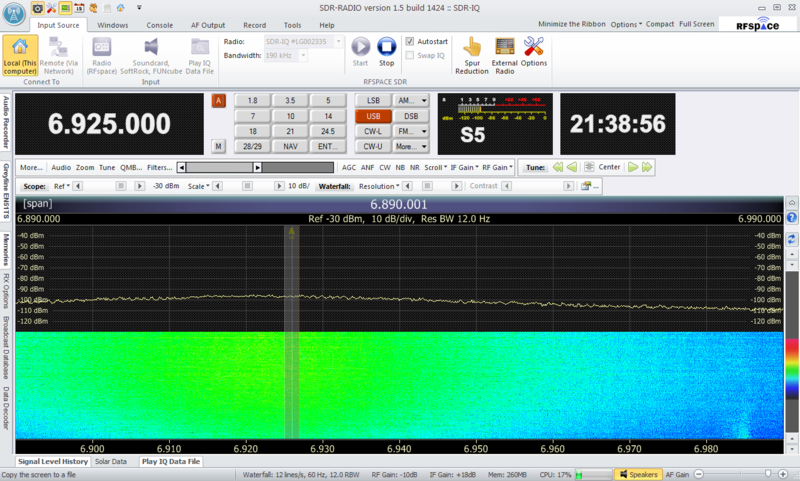 At 30 watts, we’d expect 5 dB less, or -74 dBm, very close to S9. At 10 watts, our standard grenade power level, we’d expect a signal of -79 dBm, which is close to S8. These signal levels seem reasonable, based on signal levels I have observed, when the operator gave their transmitter power. Observe from the graph that the background noise levels were about S7 during the time period. So a 10 watt signal would be about an S unit above noise, or barely audible at this distance, 700 miles. At 30 watts, you’d be about 2 S units above noise, and somewhat easier to hear. 100 watts would be almost 3 S units above noise. For fun, we can do the same with the Galei Zahal transmitter power. I know nothing about their antenna setup, so we can’t compensate for that. Their signal was about – 67 dBm, once it got dark. 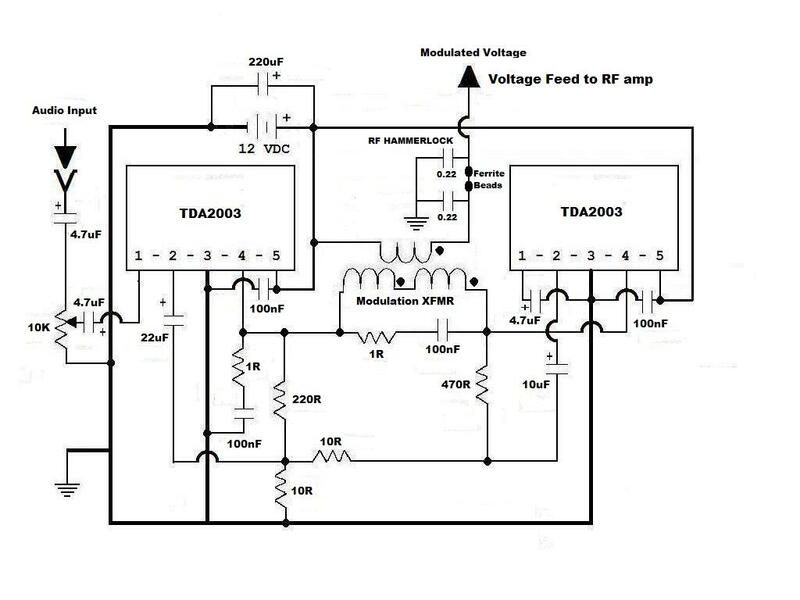 Reducing the 5 kW transmitter power to 100 watts reduces the signal by 17 dB, or down to -84 dBm, which is S7. So it would be barely audible. Europirates in the 100 watt range are heard well here, but that part of Europe is much closer, so that’s to be expected. Much of the background noise is static from thunderstorms. Once we get into late fall and winter, storm activity levels are much less, and the noise level should go down. This entry was posted in Propagation on September 11, 2013 by admin. Ok – a bit about me & my location: I’m near Chicago, IL USA. I use a Drake R8, a Ten-Tec RX340, a JRC NRD545, and a Watkins Johnson HF-1000, with a 300′ tuned LW, and a 40m inverted vee, plus a bunch of gadgets (Sherwood SE-3s, JPS NIR-12, Timewave DSP 599zx, RF Systems P-3). I’m 52 and have listened to SW since I was about 10. Unfortunately I didn’t start a written log until 1992 or so. I have logged many clandestines, concentrating on chasing African stations. I have a lot of recordings & I’ll be posting them from time to time. As we get near fall, conditions should improve greatly – work typically keeps me off the tuning knobs Mon-Fri 6am to 5pm CT. I’ll try to post a heads up of clandestine activity on here as I confirm schedules for the fall. I tend to use whatever schedules I can find on the web (EiBi, Primetime SW, swskeds from NASWA via yahoo, etc.). 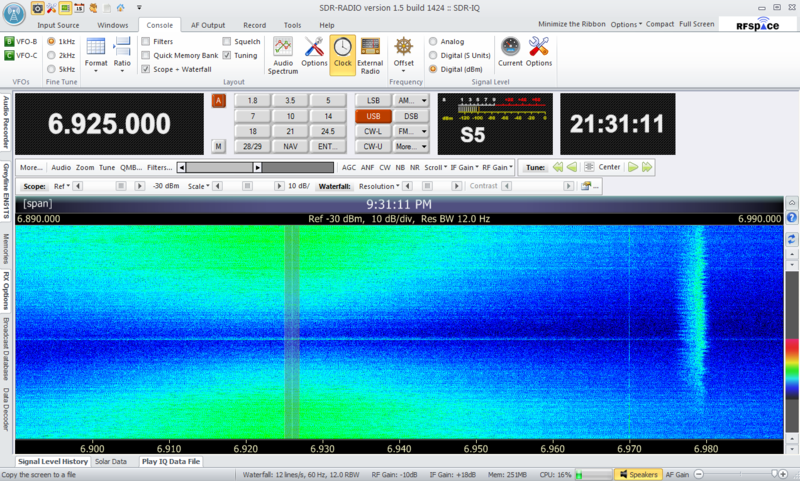 Here’s Radio Hargeysa (VO Somaliland) from Somalia that I caught on 3/17/13 at 0330z on 7120khz. You’ll notice they come up at the BOH into marching music, then drums with the same music, into an OM in Somali language, then eventually chanting. Though not a clandestine, catches like this indicate openings in the right direction! This is a slice of the recording that I have. This entry was posted in Clandestine on September 7, 2013 by fpeconsultant. Hello all – here’s a sample of a clandestine I caught on 3/17/13 at 0300z 9940khz. This BX is via the Sudan and is directed to Africa in general. Interesting that it pops up out of static into a song in progress then transitions to Dylan’s “Lay, Lady, Lay” before the first voice announcement, then into music. The full recording contains the entire Dylan song, but I edited here for brevity. Recent feedback indicates this is NOT a clandestine though sources still list it as such. Strange. I have more of this recording – this is just a slice. Welcome to the Clandestine section! While I am in NO WAY an expert on dxing clandestine stations, I have concentrated on this area of SWLing for the past 20 or so years. I figured I’d start out by telling you a bit about myself, my equipment, and the “tools” I use to find info about clandestine station broadcasts. At some point I’d like to be able to “post” some mp3s of recordings that I have made over the years – many of which are of clandestines that are now long gone. I’m not real computer literate but hopefully I can figure it out (my recordings are on Sony Mini-Discs and I have Audacity on my computer that will convert wav files to mp3 files – I think…. If someone can offer me info on how best to make these mp3s available, I would be very grateful and I can promise that everyone will find these recordings interesting). Though I am also a numbers station enthusiast and have logged many over the years, I don’t plan on discussing that aspect of our hobby and will instead concentrate on what (I think) we all consider “true clandestines”. I hope that you will find my blog informative, entertaining, and useful in your own hunting for these stations. Thanks. 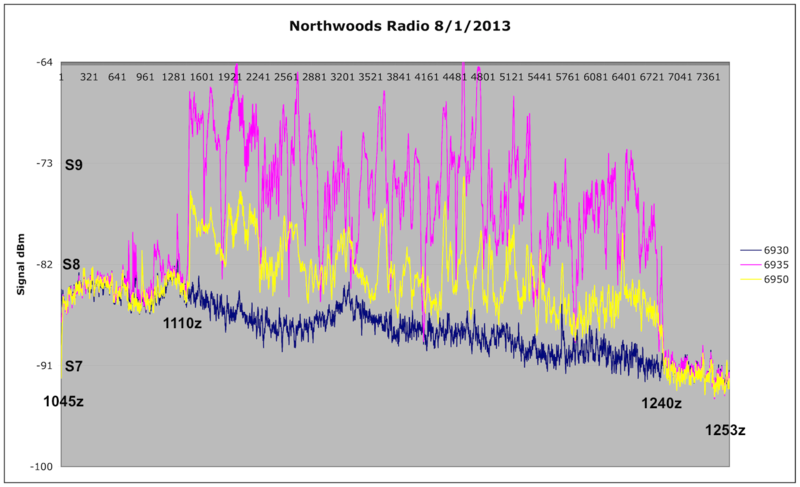 Northwoods Radio was on the air Sunday morning, September 1, 2013, running on 6935 USB and 6950 AM in parallel. 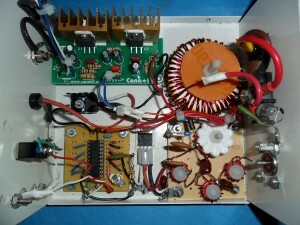 The 6935 transmitter was at about 40 watts ladderline fed phased delta loop array. 6950 was about 7 watts into a dipole at a height of approximately 45 feet. This provided a unique opportunity to compare how well these two transmissions were received. The blue trace is 6930 kHz. It starts at about an S8 level, and drops to about S7. 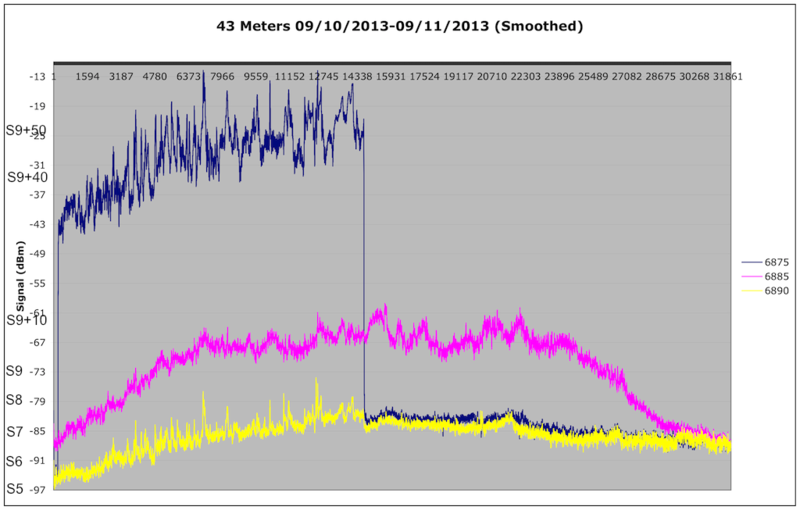 The pink trace is the 6935 USB transmission, and yellow is the 6950 AM. According to Jackpine Savage, the Northwoods Radio operator, sign on was 1050 UTC. 6935 is first briefly audible around 1100 UTC, but extremely weak, not much about the noise floor. The operator noted that he increased the audio levels around 1100 UTC. Both become audible at 1110 UTC. As you might expect, both do fade in at the same time. 6950 is rarely more than an S unit above the noise floor, usually less. 6935 is about two S units above, sometimes more. 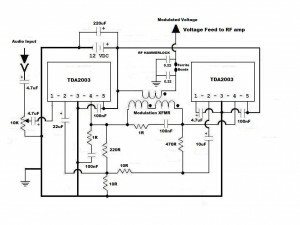 It is difficult to make direct comparisons, as there is always a carrier present with the AM signal, while the USB signal level depends to a great degree on the amplitude of the program audio. It may be best to look at the envelope of the USB signal level. It is interesting to note how the background noise level, as well as the signal levels, all go down over time, dropping about an S unit over 2 hours. This entry was posted in Propagation on September 1, 2013 by Chris Smolinski.